After seeing some pretty awesome chalkboard paint projects we wanted to do some chalkboard painting ourselves. So we ordered the cheapest paint we could find on Amazon. It finally arrived today and we started right away! 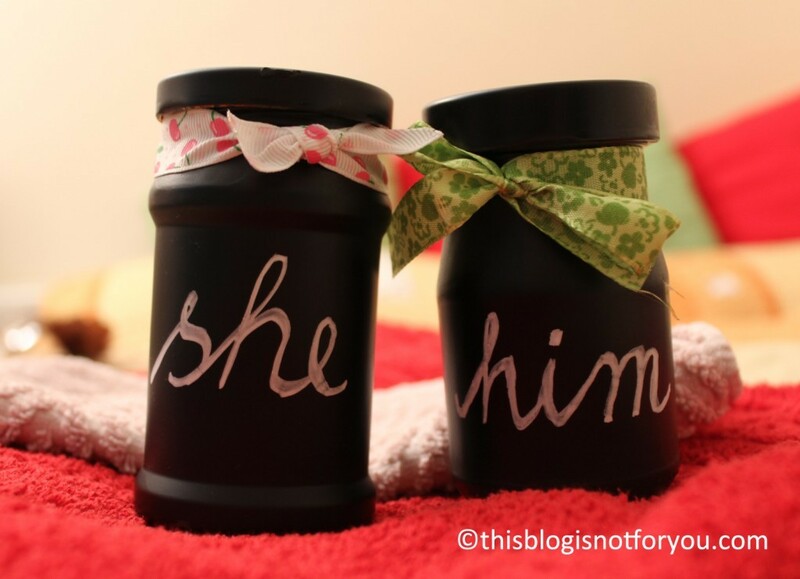 We have guests over the weekend and I love to prepare Betthupferl (German for bedtime candy), so I had the idea of upcycling some old jam jars. I keep loads and loads of jars, sometimes they come in pretty handy. Since I never used chalkboard paint before, it wouldn’t have been great damage if the paint wasn’t good at all. I used this brand, mainly because it was quite inexpensive. It was really easy to use and worked out well. I wouldn’t use it indoors, since it’s a spray and as you can see on the picture below it scatters the paint on a large scale. 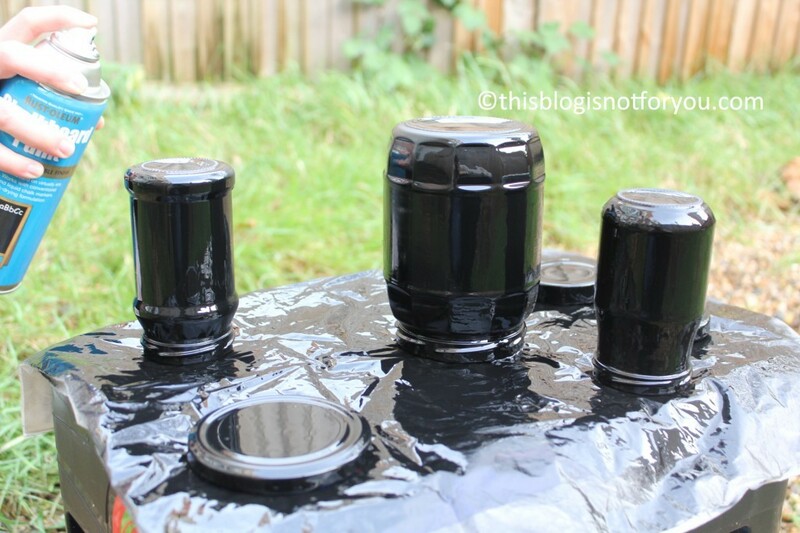 It’s best to hold it about 30cm from the surface and whilst spraying keep the can in motion. After applying the first layer wait at least 3-5 minutes until the next. For the jars one layer was enough, I did two though just to be on the safe side. For labelling I used a liquid chalk marker. 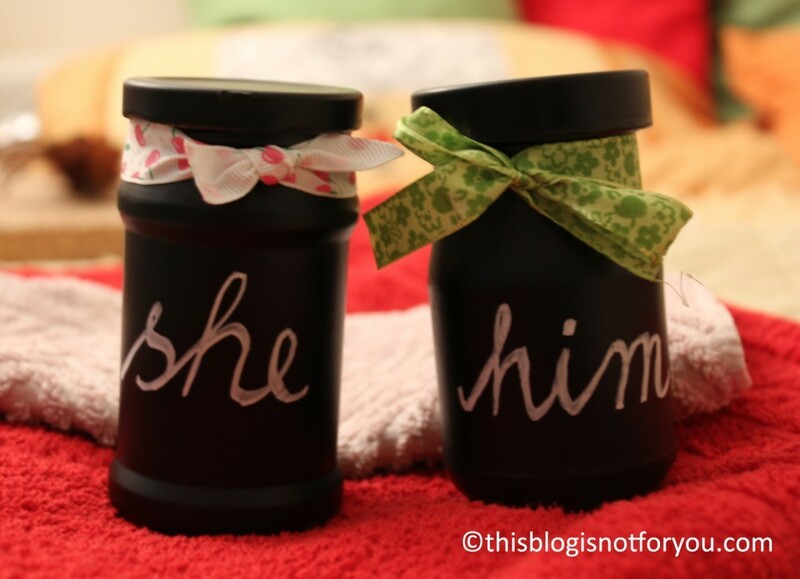 Fill with candy, apply ribbon – and you’re done! 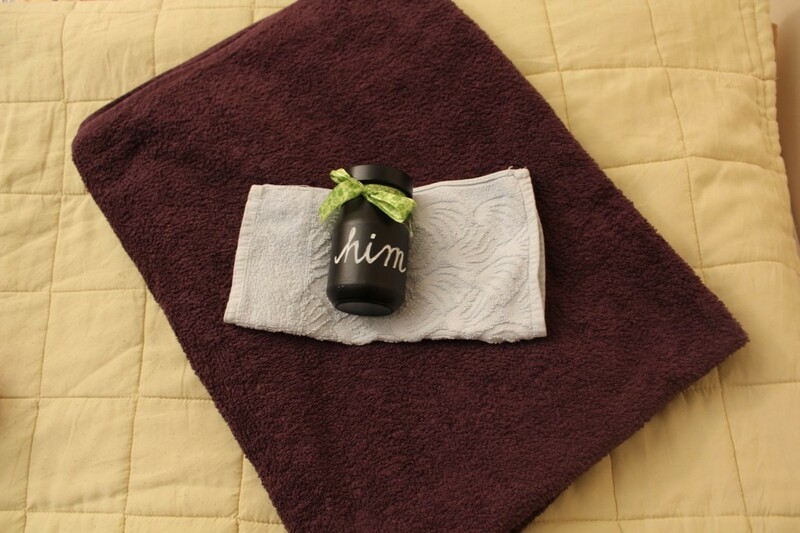 A cute idea and pretty simple to copy – our guests loved it! So here they are – stuffed with goodies, sweet dreams guaranteed! 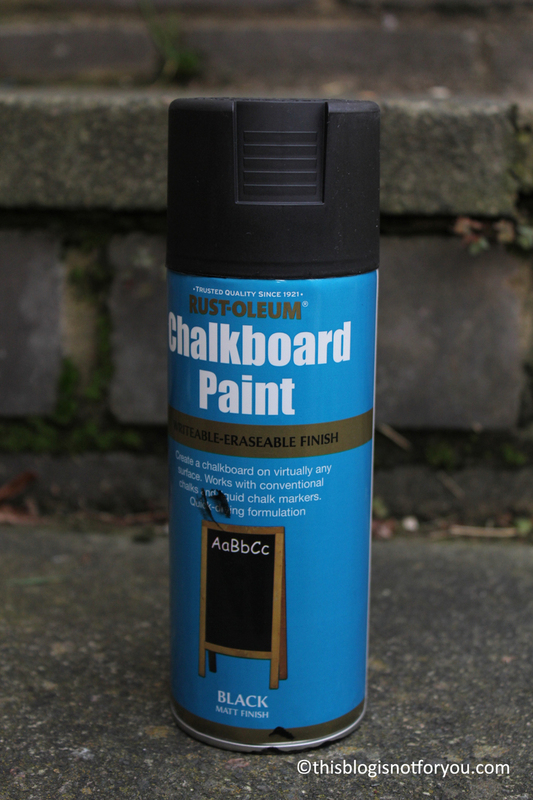 I’m afraid I’m a chalkboard paint addict now… There will be more chalkboard paint projects coming up for sure! and wonderful guests that deserve a lovely welcome!